Every language has its cadavers, and it must come to terms with it—be it through art, politics or any other medium. 0. 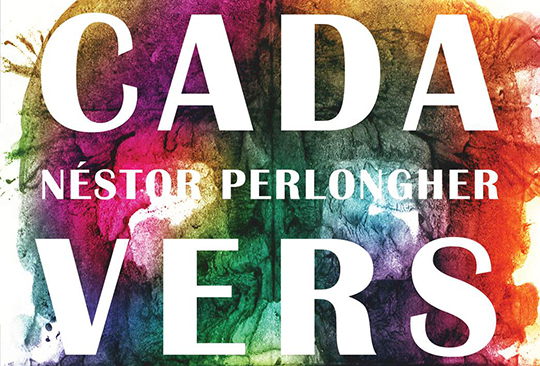 Cadavers is the best-known poem by Argentinian Néstor Perlongher and it is one of the representative works of a Latin American postmodern poetry movement dubbed neobarroco, Neo-Baroque. José Kozer, a Cuban poet, describes neobarroco as: “The second line [of Latin American poetry; the first one is a thin, familiar line], meaning the thick line, I associate with international poetry, a stronger convergance and diversity, indeed more opaque, but, in spite of its thickness, more encompassing. 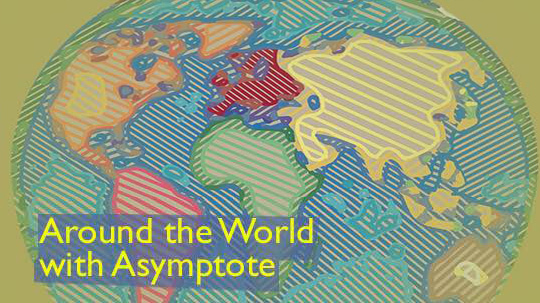 This international poetry includes aspects of twentieth Century [North] American poetry, as well as a basic source rooted in the Spanish Golden Age Baroque, Góngora, and Quevedo above all.” Poetry that is written with a thick line demands texts about it to be thick-lined as well. The following text is my attempt at complicating the all-too-familiar form of the book review. There Are Cadavers. A (counter)interview is closer to an audacious conversation in which words are thrown like knives at a spinning reader. If an interview is a polite conversation wherein the interviewer thoughtfully poses questions and the interviewee eagerly answers, not unlike a racquet sports match, a (counter)interview is closer to an audacious conversation in which words are thrown like knives at a spinning reader. A regular interview won’t do, especially if the knife-thrower is none other than Heriberto Yépez. Yes, his name is struck out, indicating recently deleted information, in this case, traditional authorship. Yépez was born in Tijuana, the world’s busiest land border crossing, in 1974. During his teens, he worked in a maquiladora and later studied under German philosopher Horst Matthai Quelle. Since the early 90s, Yépez has been on the frontline of experimental writing and radical politics on both sides of the border. His ruthless criticism has brought him admirers and detractors in English and Spanish. Controversies include the Olson Affair, in which Il Gruppo (Benjamin Hollander, Amiel Alcalay, et. al.) accused him of deliberately misreading Charles Olson in The Empire of Neomemory (ChainLinks, 2013), and regular Twitter-based confrontation with members of the American and Mexican cultural establishments. When his weekly column of cultural journalism, Archivo Hache, was shut down, he finished off by saying: “I was critical in all directions. 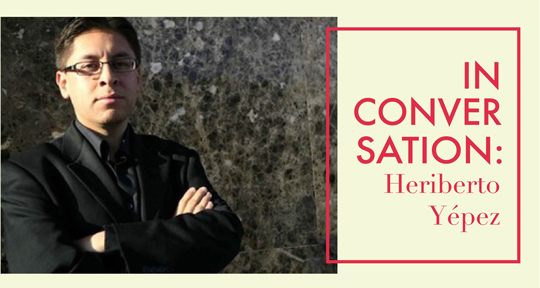 If I did not critique someone, I apologize for the oversight.” Ever since, Heriberto has favored blogs, social media, and other alternative options to traditional publishing. Last year, he worked on Mexiconceptual, a month-long project that involved him posting a different poem reflecting on the museum as an institution every day on a website. The texts would disappear 24 hours after being displayed and could only be read afterward through links shared on social media. It is now available in book form. Following on the heels of exciting news about our recently-launched Book Club and amidst end-of-year lists highlighting the best of 2017, we are back with another round of literary news from around the world! First up, Sarah Moses brings us the latest on literary festivals and awards as well as updates on children’s literature. Sergio Sarano is up next with a preview of the Guadalajara International Book Fair. In early November, Argentinian author, essayist and literary critic, Silvia Molloy, returned to her native Buenos Aires for a series of talks and workshops around the topic of language and translation, held at the Latin American Art Museum of Buenos Aires (MALBA), and then at the Goethe-Institut, where she was interviewed during the Buenos Aires Literary Translator Club’s final get-together of the year. At the latter, Molloy discussed her recent book, Vivir entre lenguas (Eterna Cadencia, 2016), which weaves together anecdotes, memories and stories on multilingualism.